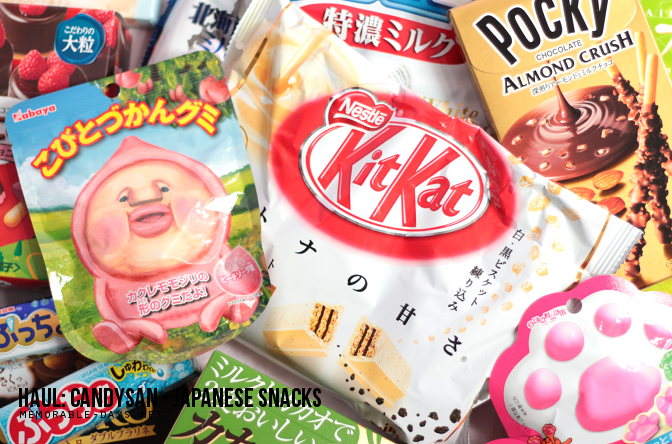 HAUL: Japanese Snacks from Candysan #3 + Discount Code | Memorable Days : Beauty Blog - Korean Beauty, European, American Product Reviews. YAY! I will be showing you my Candysan haul and review today^^! I'm a huge Japanese snacks lover so I had to stock up on some of my favorite snacks and I bought a few to try out as well :). 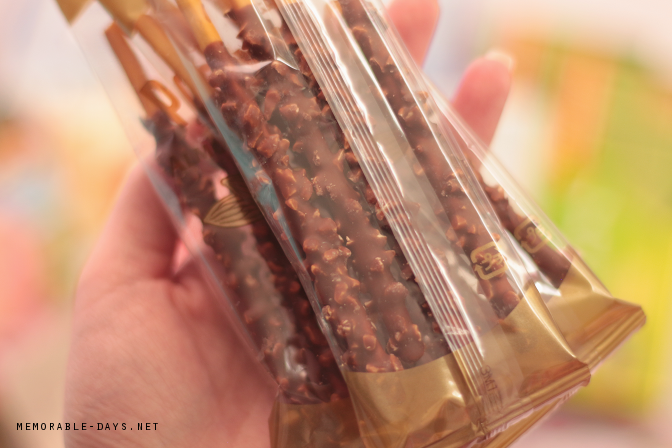 If you haven't heard of Candysan, it's a website where you can purchase Japanese snacks online for a very reasonable price. Keep on reading if you would like to see my haul! 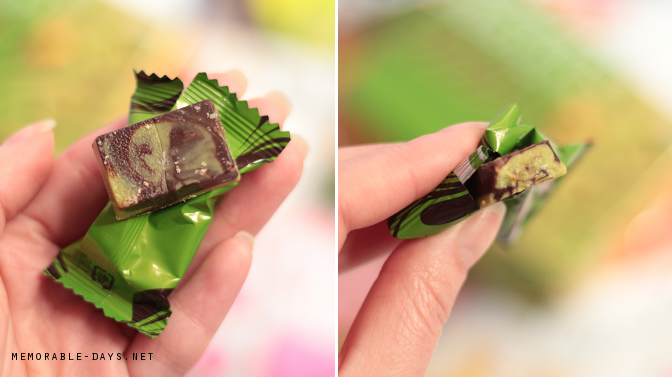 Go to my previous Candysan haul blogposts: blogpost 1, blogpost 2, blogpost 3. . 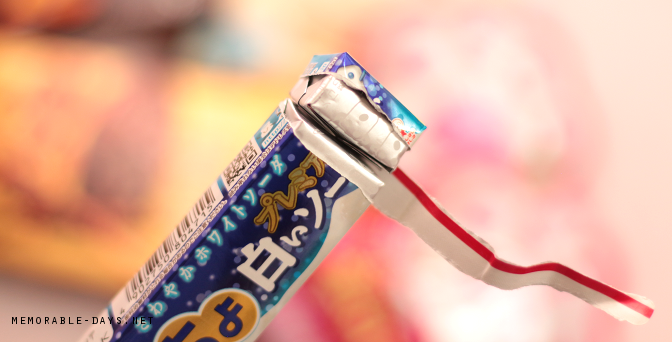 If you would like to try Japanese snacks, make sure to visit www.candysan.com. I was so happy when I found this website since it's hard to find an online store where you can purchase Japanese snacks for a low price. This is the third time that I placed an order at their shop and they haven't disappointed me even once. Shipping took around 2 weeks and all products weren't expired and were in good state. The shipping costs depends on the weight of the package, so the more you're going to order, thus the higher the shipping costs will be. Feel free to use my discount code : MEMORABLEDAYS to get 5% OFF at checkout! This code won't expire so you can use it any time :). If it doesn't work all of a sudden, drop a comment below and I will fix it as soon as possible. 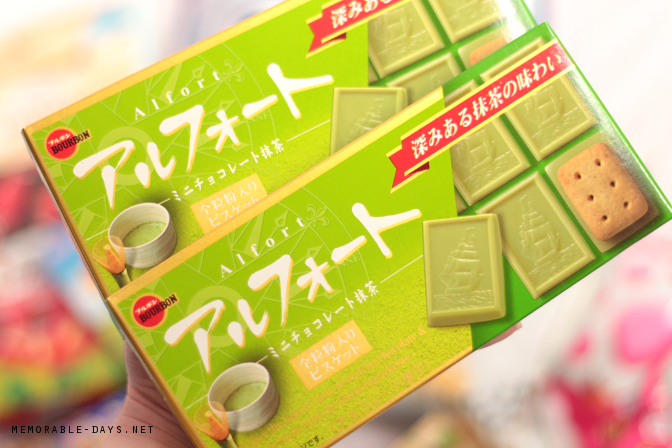 My ultimate favorite green tea cookies are these from Alfort! 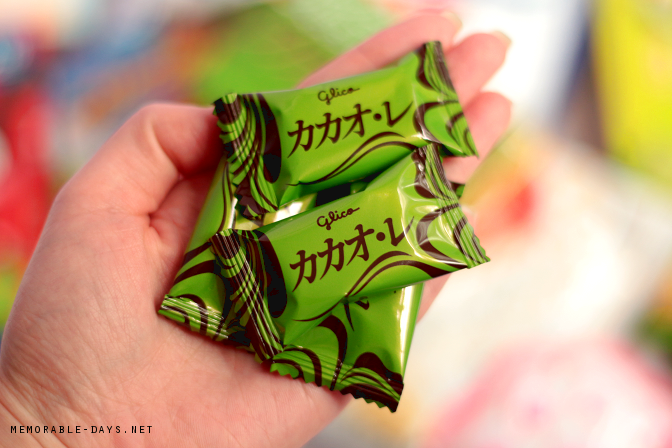 These are little biscuits with a layer of green tea chocolate on top of it. I bought 2 packages this time since I love them! It cost €0.95 per pack (link to product). 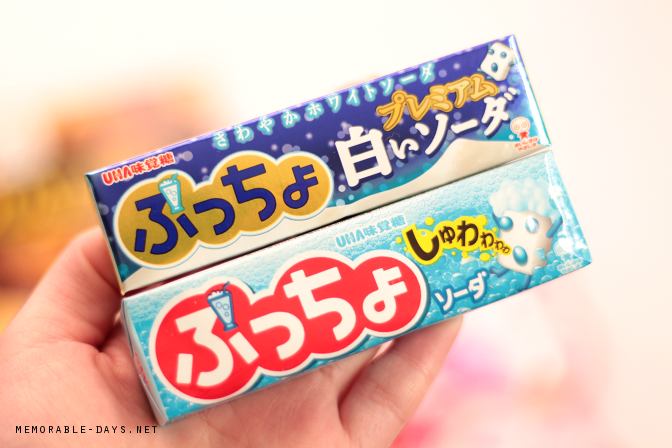 I reviewed these before in this blogpost. I love praline so that was the reason why I bought these chocolate cookies. 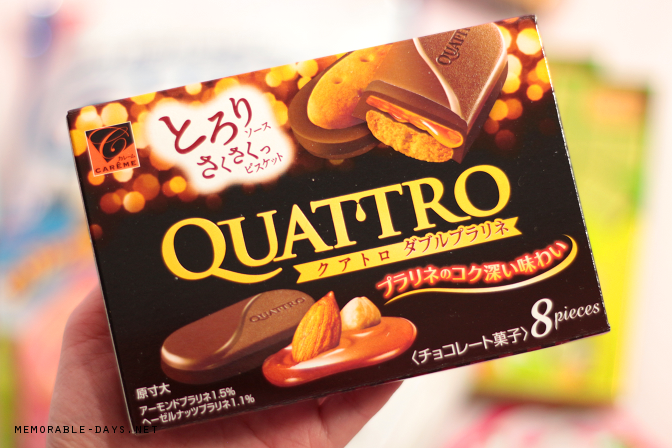 These are Carême Quattro from Kabaya. 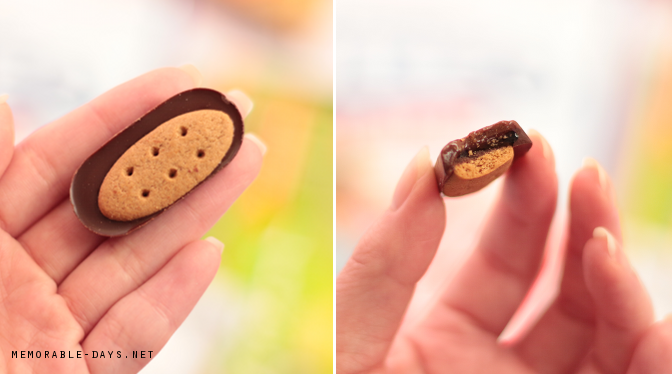 There are 3 layers: a crunchy little butter-cookie type biscuit, almond caramel and almond & hazelnut praline chocolate. This has become one of my favorites out of the box this time. 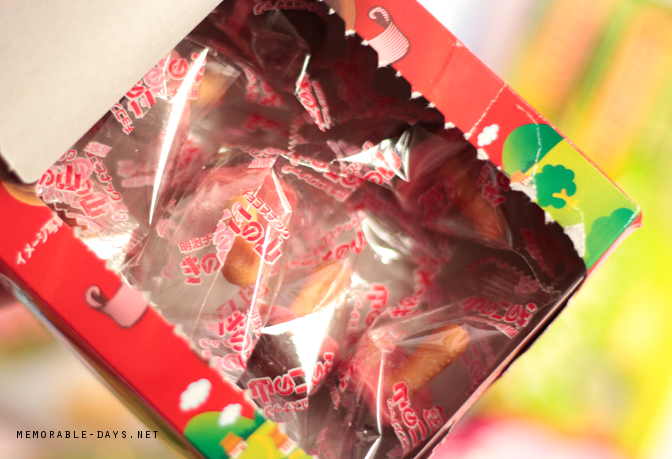 It's very sweet so you won't eat more than 1 per time. Luckily they are individually wrapped. There are 8 pieces inside and one box cost €1,02 (link to product). I will definitely repurchase these in the future! 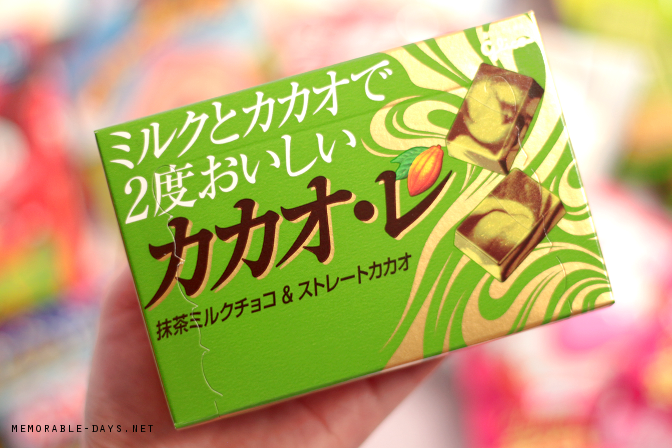 These are milk and green tea chocolate squares mixed with 100% cocoa chocolate from Ecuador. 10 pieces wrapped individually. 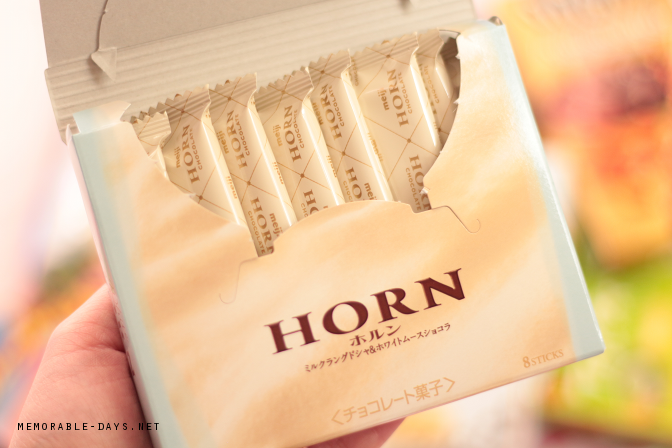 The milk and green tea flavors are very rich and you will definitely notice that its cacao chocolate. These were ok for me, if you like cacao chocolate you will probably love this, but i'm not a huge fan so i won't be purchasing these again. It cost €1,31 per pack (link to product). 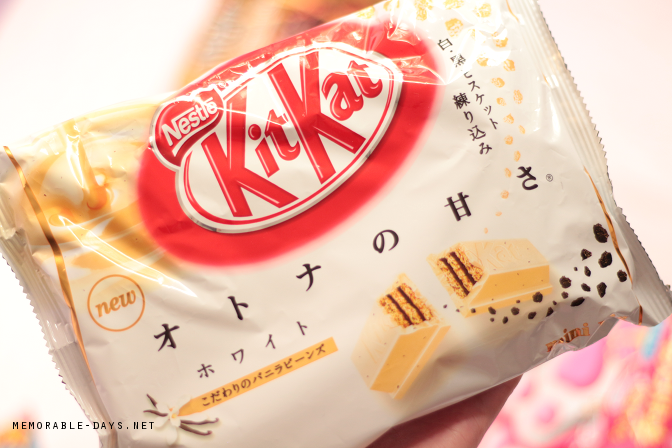 Kit kat is just like Pokemon, I just gotta try them all hahahah. 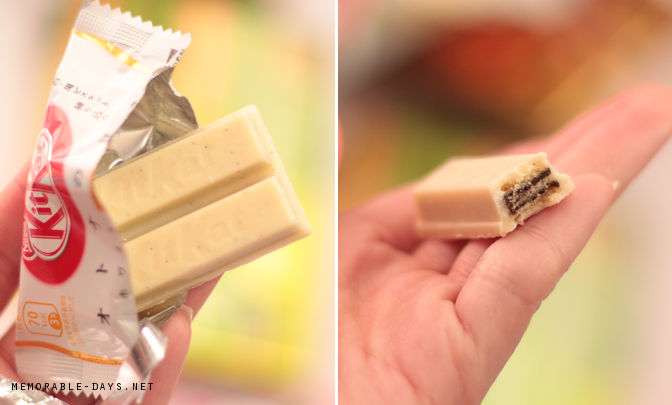 It's a new kit kat mini with white chocolate & vanilla flavor with chocolate cookie crumble inside. This combination is super yummy ^^. 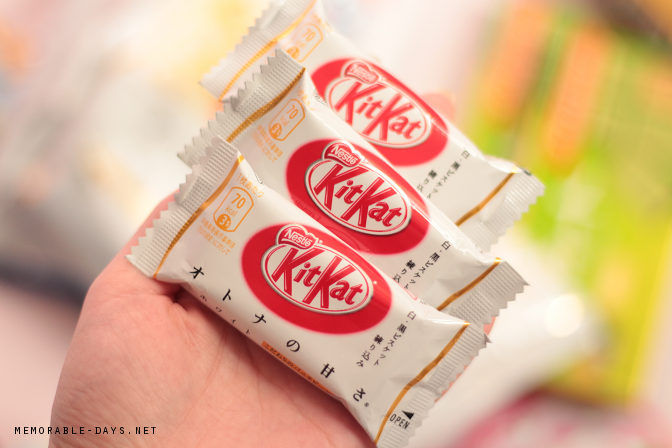 The green tea kitkats are still on the number #1 spot, this has become my #2 I think hahah. There are 12 packs inside and cost €2,41 (link to product). Repurchase? YES! 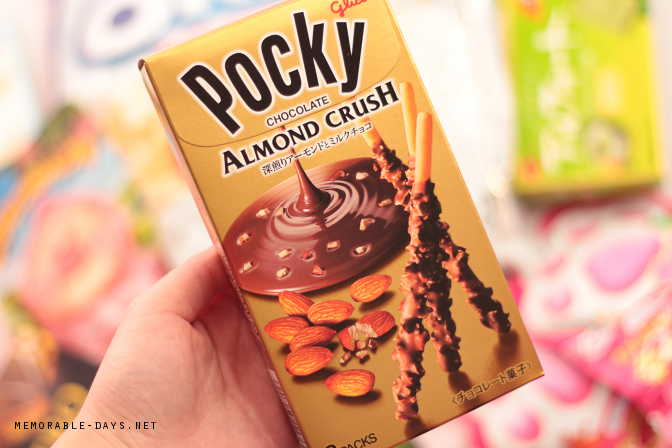 I just wanted to try this because I saw the combination almond and chocolate :). Unfortunately, the taste was a bit boring to me. I love the structure but the almond taste wasn't super noticeable. There are 3 packs in one box and it cost €1,24 per box (link to product). 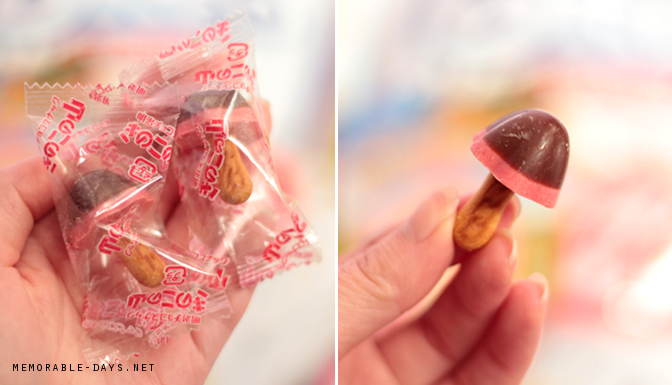 The packaging is to die for and the look of the mushrooms is super cute. 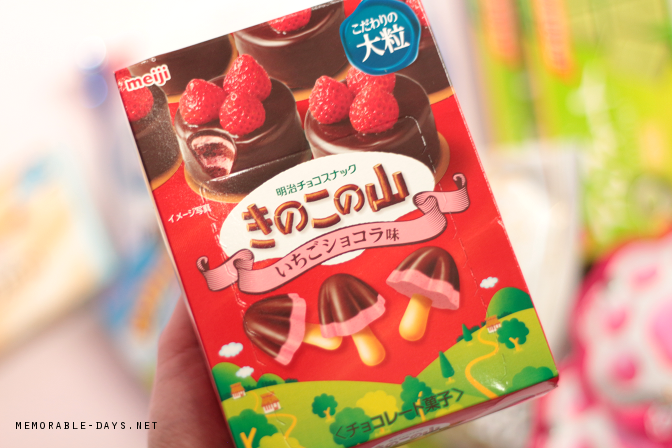 These are strawberry and milk chocolate mushrooms. 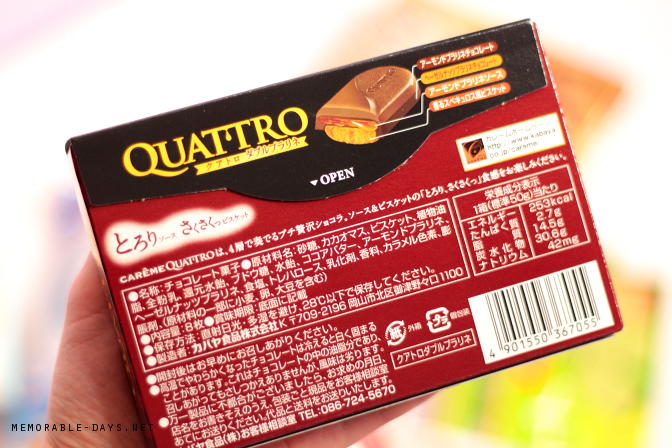 The strawberry taste is quite overwhelming and a bit too sweet for me, and I wish that the size of the chocolate could be a bit smaller. The chocolate is pretty hard as well. Not a big fan of this so won't be repurchasing. It's currently sold out, but it's sold for €1,58 normally. They do have different flavors available (check them out here). The reason why I bought this was because of the silly packaging hahaha. 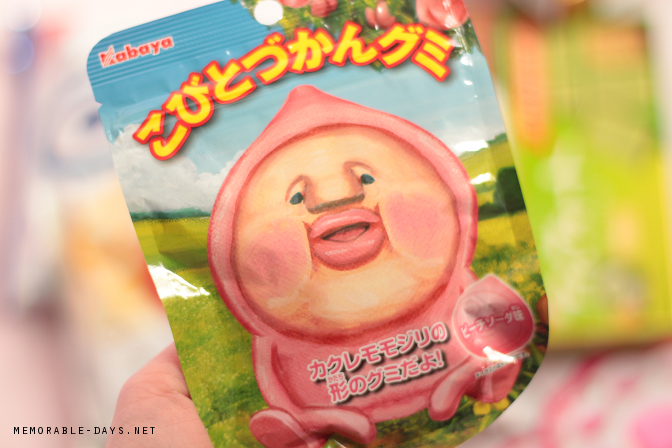 There are gummies inside with peach soda flavor. The gummies had a strong peach soda flavor which i didn't really like unfortunately. Also, not going to purchase these again. They are also not sold at the store anymore. 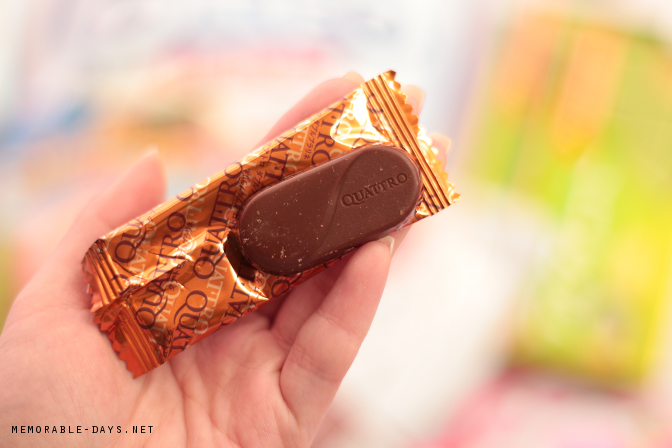 Pucho is one of my favorite candies! The dark blue version is white soda and the light blue version is soda. They both taste similar to me hahah and i love them! It's sold for €0.88 each and it's available in lots of other flavors (link to page). 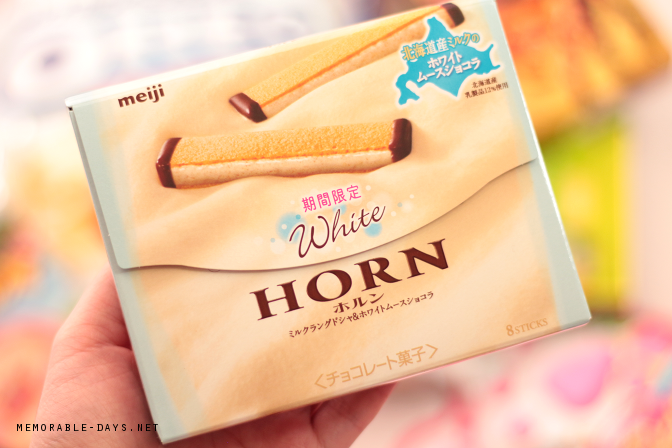 I absolutely love the packaging of the Horn biscuits, it looks so classy. 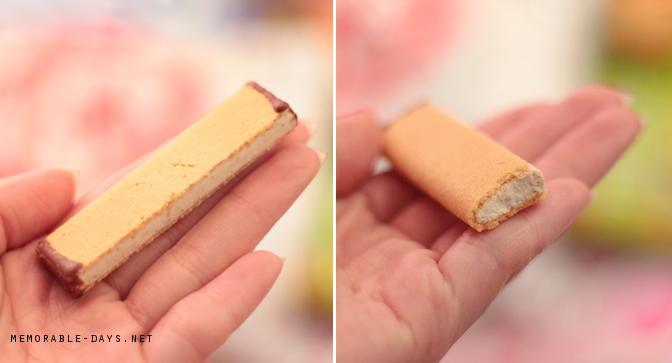 There is white chocolate on the inside, a light biscuit on the outside and milk chocolate at the ends. 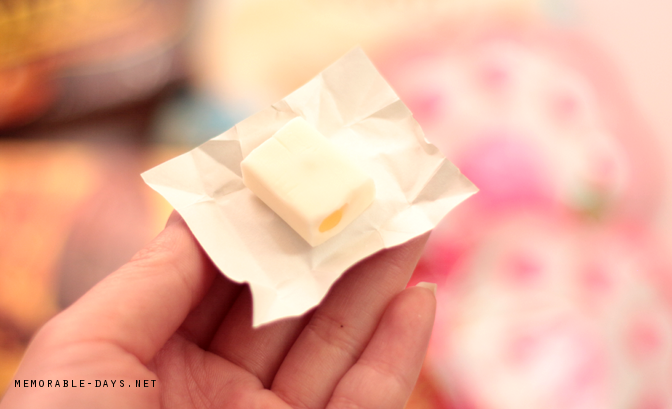 It's pretty sweet but if you like white chocolate, you will like this! There are 8 sticks inside, per pack cost €1,53 (link to product). It's my third time purchasing these gummies and I bought two packages this time. I usually put these in my bag. 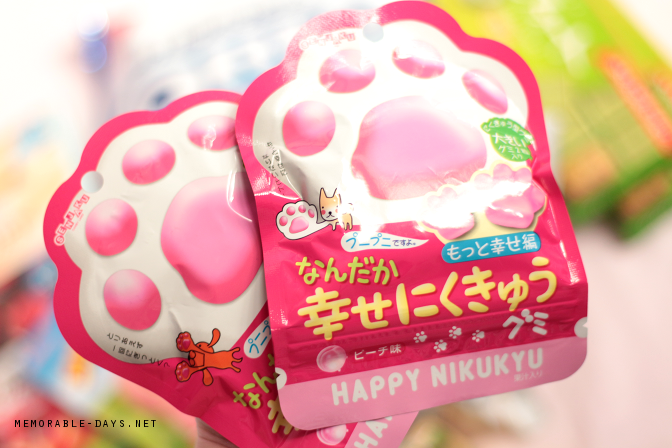 I really love these paw shaped peach gummies! They are squishy and the taste is just right. There are 10 gummies inside, per pack cost €0,84 (link to product). 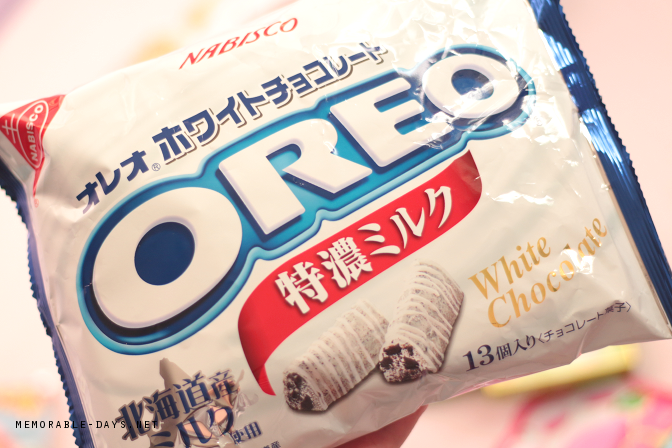 Japanese oreos are SO different compared to the american ones. 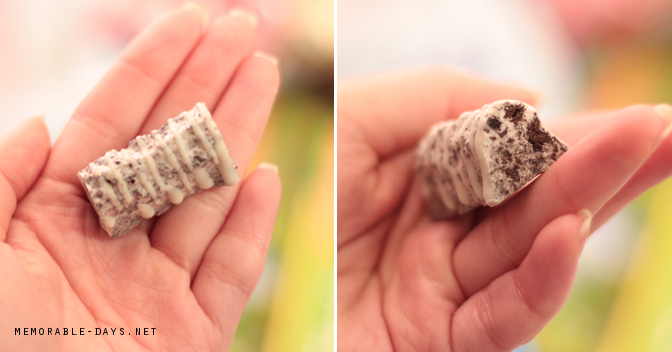 These oreos are individually packed and there are 13 inside, sold for €2,12 (link to product). The taste of it is pretty nice! 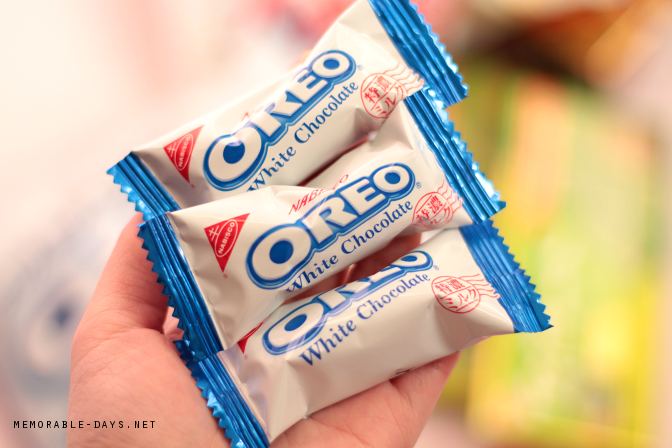 It has a nice white chocolate taste and it balances nicely with the chocolate cookie inside. YUMMM!!! Overall I like the Alfort biscuits, Quattro double praline biscuits, Pucho soda candies and Happy Nikkyu peach the most. These are the ones that I would definitely purchase again and again. I hope that I didn't make you feel too hungry after this blogpost haha. If you are interested visit www.candysan.com and feel free to use my coupon code MEMORABLEDAYS to get 5% OFF at check out. 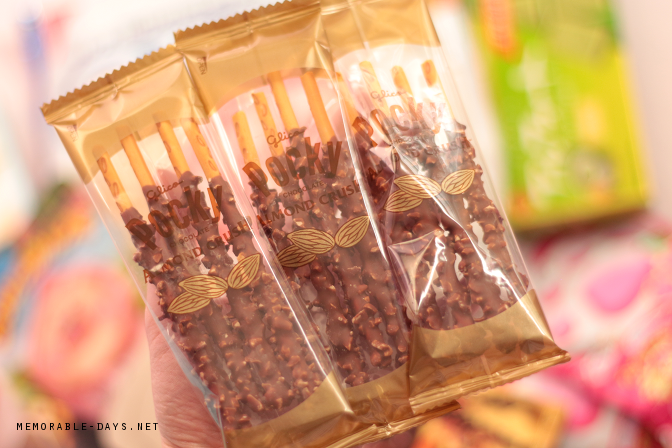 note: these snacks were purchased with my own money and this blogpost contains affiliate links.